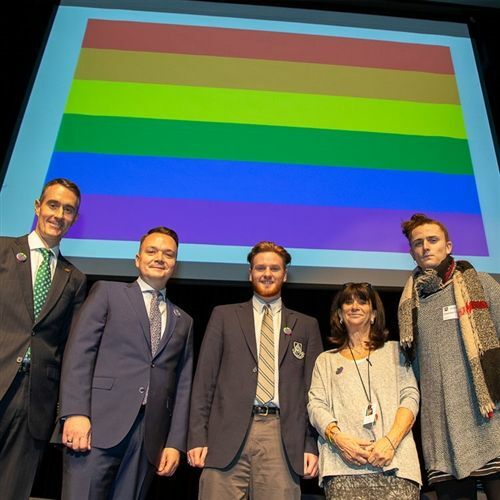 Honesty, respect and compassion were central themes in Crescent’s second annual Pride Day events held on January 24 and 25, 2019. 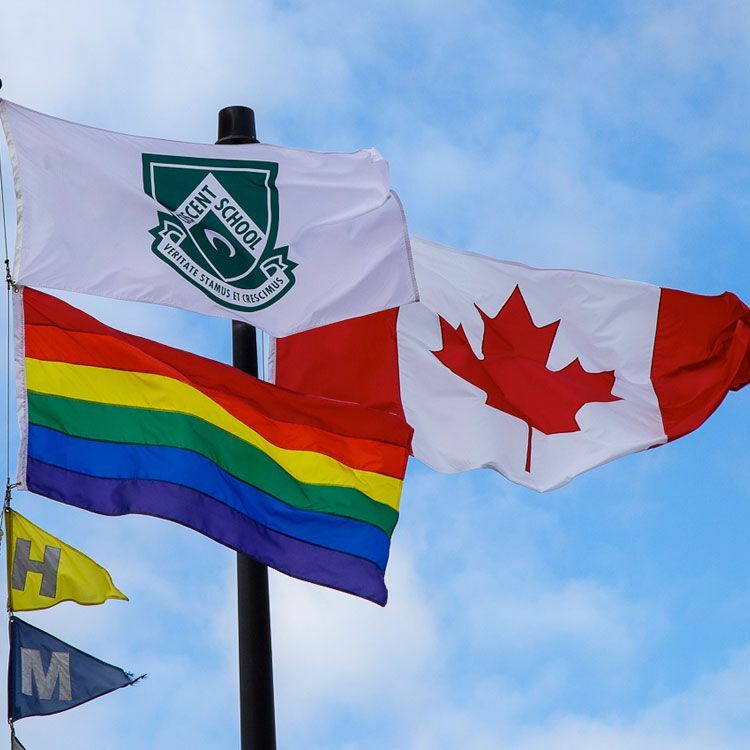 With the Pride rainbow flag flying in front of the school and age-appropriate activities programmed for each grade, Pride Day was an opportunity for Crescent boys to learn about the LGBQT+ community and talk about accepting diverse identities and being allies. 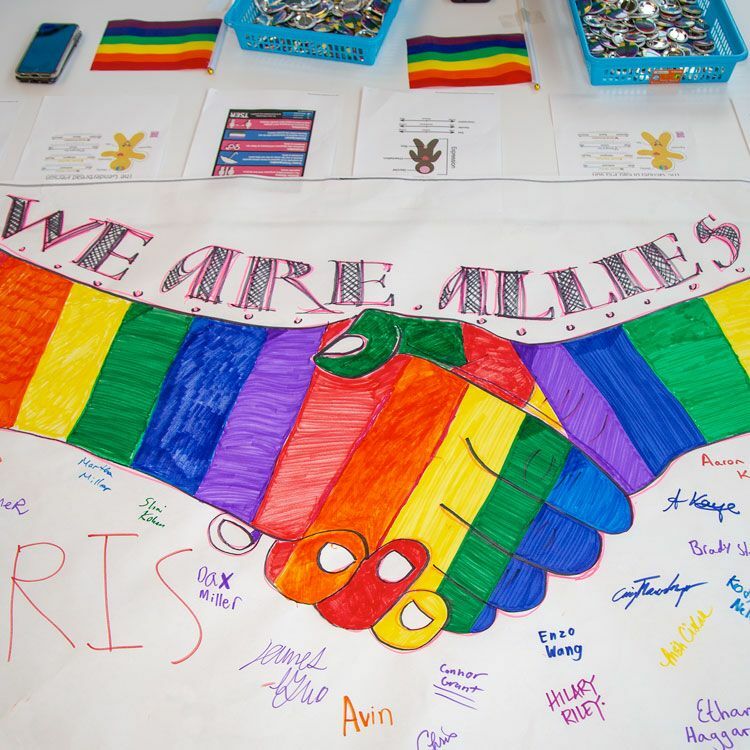 “Our Pride Day activities were designed to offer our boys a window into people's different experiences in a way that allowed them to ask questions and learn from each other. We also emphasized the importance of good allyship in our community,” says Nick Kovacs, Crescent’s Head of Upper School. Two Crescent alumni, Jason Sordi ’95 and Shannon Grant ’10, participated in the Pride Day events. Both are members of the LGBQT+ community. Sharing their personal experiences at assembly presentations and discussion groups for Middle and Upper School boys, Sordi and Grant spoke about how important it is for people to be able to be their true selves, and the difference it makes when people step up as allies for people who need support. Sordi encouraged the boys to not let the fear of making mistakes hold them back from being allies. He said that inaction is often driven by a desire to not offend, but that actions fueled by good intentions are more helpful than no action at all. 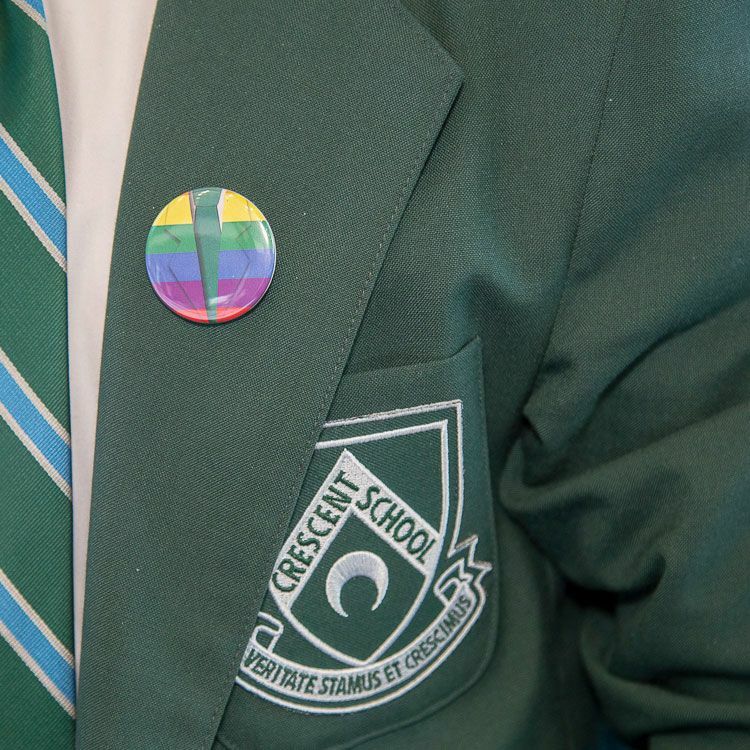 Crescent’s Pride Day activities also included classroom discussions with the Lower School boys led by one of Crescent’s social workers, collaborative art projects, a colourful display of LGBQT+ facts and definitions, and rainbow-sprinkled cupcakes at lunchtime.